What does a Thai Express Franchise Cost? Thai Express is a quick service restaurant franchise that serves healthy made-to-order Thai Cuisine. The cost to own a Thai Express begins with the minimum liquid capital requirement of $150,000. The franchise fee is $30,000. The total investment is between $342,900-$758,700 and varies dependent on the franchise model (mall food court or freestanding restaurant). The franchise fee for multiple units can be discounted if certain conditions are met. Thai Express is a new take on traditional Thai Cuisine and marries custom tailored meals to individual's taste. The food is prepared fresh when ordered. Thai Express provides fun, flavourful and healthy meals and is the perfect business for entrepreneurs with good organizational skills and experience to make use of their talents. Thai Express believes in providing variety, quality and authenticity in a modern restaurant which adds an exotic ambiance to anyone's day. Learn more about the cost and benefits of owning a Thai Express today. Thai Express strives for excellence and takes great pride in the food that ise prepared. It is their belief that great food can only be made from the finest and freshest ingredients. The architects of Thaï Express food restaurant have recognized that now is the time to capitalize on this attractive concept. Marrying the notion of quality Thai cuisine with the ability to serve clientele in a fast-paced environment is the perfect combination for a winning Thai quick service restaurant. 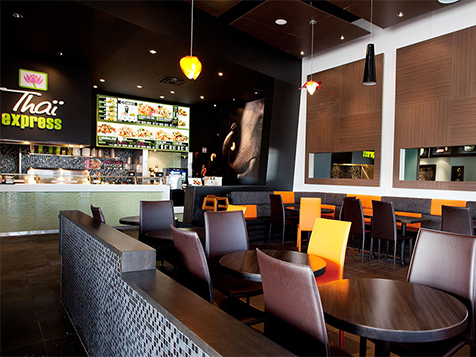 The Explosion of Thai Express into the quick-service restaurant market has resulted in the opening of new locations every year. 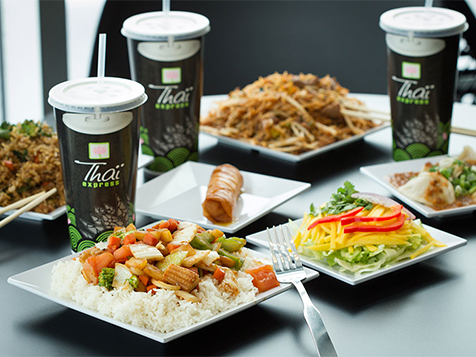 Thaï Express has been busy expanding and currently has 285+ locations across North America and Internationally. New locations are popping up everywhere! Our formula of good food quality has proven successful and taken us far. Overseas, in fact, Thaï Express now has 15 locations open in Bahrain, Dubai, Morocco and United Kingdom. We now have several locations in development in the U.S. and growing. A recent CNN report notes that Thai cuisine ranks in the top 10 of healthy diets. 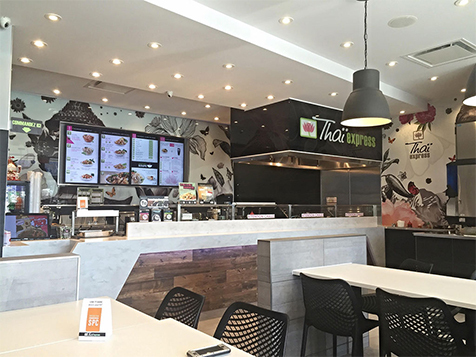 Americans are consistently seeking healthy alternatives for dining on-the-go, which makes a Thai Express franchise an attractive option for QSR investors seeking new growth opportunities. One key area of interest for savvy investors is Thai food popularity among millennials — one of the fastest growing segments of the restaurant market. According to Edelman Digital, some 23% of millennials say they eat Thai food regularly. Combining a healthy food with a growth market in high demand among a core demographic, Thai Express is a franchise QSR built for the now and ready to scale for the future. Thai Express is looking for dynamic, experienced, self-motivated professionals who are ready to invest in the Thai Express quick service restaurants. Come achieve great things with Thai Express as a franchise owner. Complete the inquiry form and learn more today.